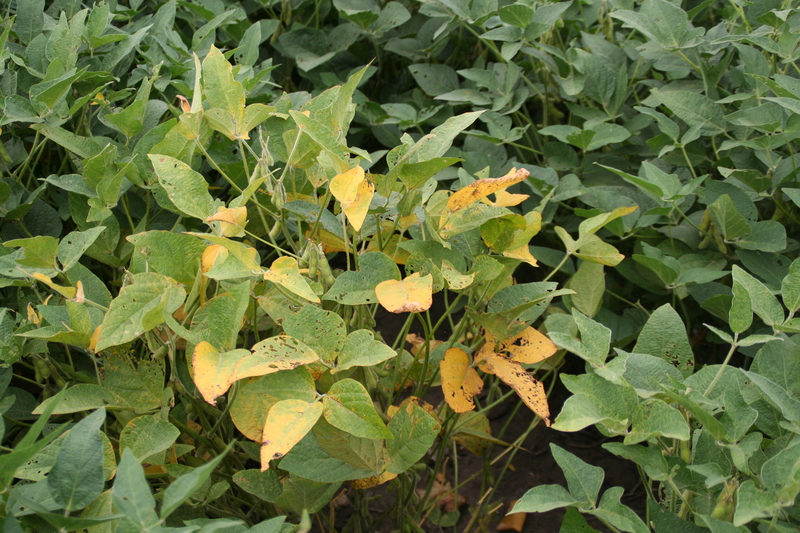 Symptoms caused by Soybean dwarf virus (SbDV) can vary due to virus strain, infection timing, and variety of soybean. 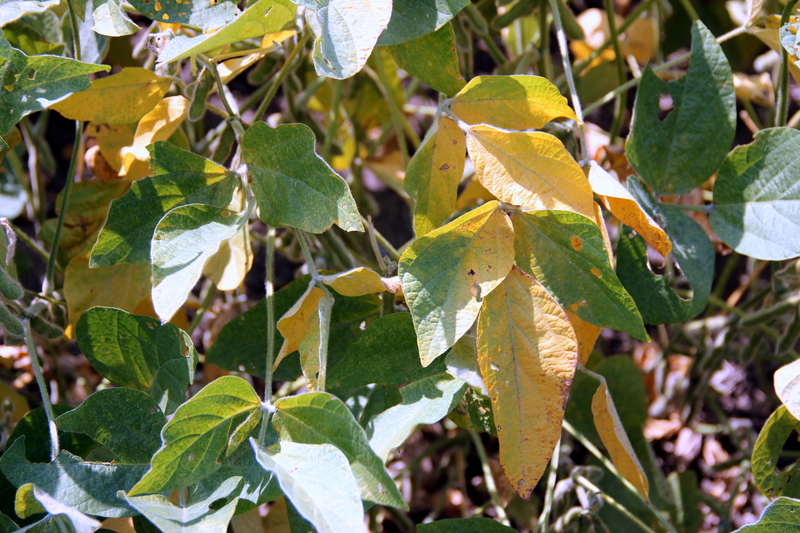 Leaves can be dark green, brittle, wrinkled, curled, small, and thick while green stem, delayed maturity, plant stunting, yellowing between leaf veins, and decreased seed number can also occur. 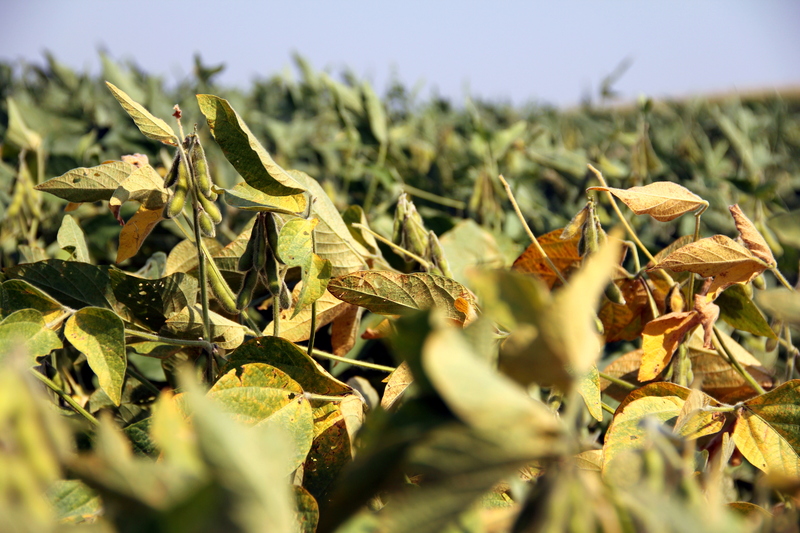 SbDV is transmitted by aphids and has multiple legume and non-legume host plants. Severity and incidence of soybean dwarf can increase if early season environmental conditions favor aphid development. Soybean dwarf can be more problematic if early season environmental conditions favor aphids. Soybean dwarf symptoms in soybean field. 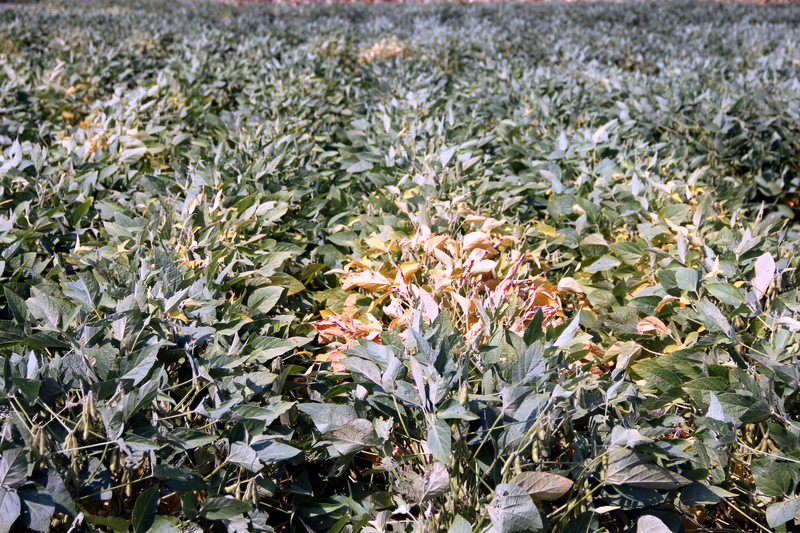 Plants with soybean dwarf within a field. 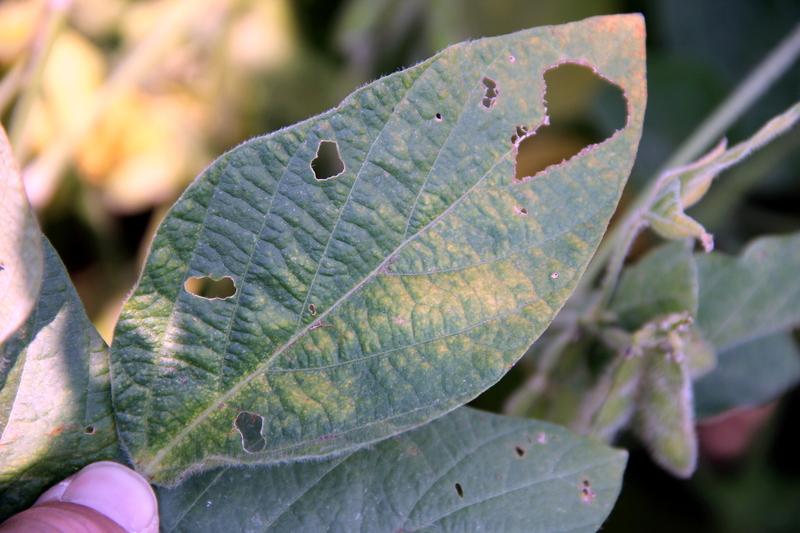 Soybean leaf with symptoms of Soybean dwarf virus infection.